As many of you know, a special delivery arrived on August 15th about 5 1/2 weeks early for our little family. Little Baby Luke, as his big brother calls him, is as perfect as we could have hoped. However, he is dealing with many of the issues that accompany a late pre-term infant (labeled as being at a gestational age of 34-36 weeks). Luke was admitted into the neonatal intensive care unit (NICU) shortly after delivery and has been here eight days now. The time has gone quickly for us as we develop a "new normal" at least for the time that he will be spending here. All of the doctors and nurses have advised us to be prepared for him to stay here until his original due date, which means we have at least another four weeks to go. Seems like a long time, but they keep us so busy, I'm sure each week will go as fast as the first. If there is one request I can make of my dear clients, customers, friends and family it is this, please let me be selfish. Right now, my priorities rank in this order: 1. Luke; 2: Me; and 3: Logan & Tim (my 3 year old son and husband). As much as it pains me to say it, everything else holds very little importance right now. It pains me because all of you have been so loyal to me, and have provided me with the opportunity to have a career, friendships, and a life that I never could have imagined having without you. I have come in early and gone home late to help others. I have stayed up into the early morning hours working on paperwork at home just to keep ahead while still trying to spend time with my family. I have missed birthday parties, bridal/baby showers, lunch dates, and time with my family to spend it with yours. And, in 12 years, I have never cashed in a full two weeks worth of vacation. All I'm asking is that you let me be selfish and cash it all in right now. What I need from all of you is 8 to 12 weeks to spend with my family, to get Luke home, to make sure he is healthy and to make sure our family is whole again. Because, you see, without my boys, work really lacks all importance whatsoever. And, I'm of very little use to you if my head isn't 100% in the game. I know I overpromised many of you last week when I said we might be home in a couple of weeks and that I can work from the hospital. I was running on pure adrenaline, a high dose of morphine, and some crazy mom-power that comes with delivering a baby. Right now, my "office" consists of two folding chairs pushed together in a tiny corner of an intensive care unit hospital room where my computer plays music for Luke throughout the day. This 10' x 10' room also serves as my living room, dining room, kitchen, bedroom, and baby room. And, it also comes with all the custom "bells and whistles" of an intensive care unit. I do have a temporary housing situation established, and can run back and forth for a shower or relief from the day's activities, but that isn't always practical when 12 hours of the day is dedicated to feeding and the other 12 are dedicated to supporting Luke's behavior and brain development. This experience has truly opened my eyes to the stresses other families in this situation have endured, and I apologize to anyone who I have not shown compassion to as they were traveling this journey. So, I beg of you, please let me be selfish. Please let me help my baby grow and develop. The few weeks that you must sacrifice now will mean a lifetime of health and well being for Little Baby Luke if we can establish the groundwork needed here to get him running at full steam. The only way I know how to do this is if we work together with trust, understanding, and patience. 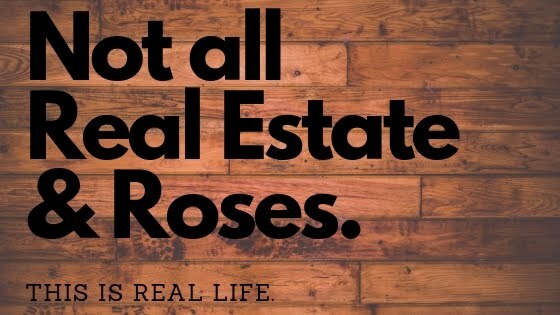 Although this came as a surprise, the team at 1st Realty is ready to help, and they have been working hard to fill in during my absence. They will never know how truly grateful I am for their help and kindness during this time. It truly does take a village to raise a child, and if you will be a part of my village right now, Luke and I will make sure to find you the houses you need to make it a home when we get back! Thank you all for your patience, kindness and understanding! Welcome Home.